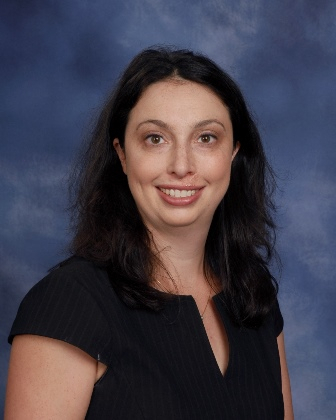 Andrea currently serves as Director of the Temple Beth El School for Jewish Living. Through her vision and leadership, she strives to transmit the ability and richness of living a life based on Jewish values and practice. Working together with teachers, parents, and community members, her goal is to establish a holistic approach to Jewish education. It is by engaging in social action projects, shared meals and celebrations, song and worship, friendships and outreach, that children experience the joy of belonging to a sacred community. Prior to her family’s arrival in Pensacola, Andrea served for seven years as Director of Education at Temple Beth Torah in Fremont, California. While living in Los Angeles, she directed the Tartak Learning Center at the Hebrew Union College –Jewish Institute of Religion, working with Jewish professionals around the world. She has taught a variety of Jewish subjects to children and adults, ranging from Hebrew skills to Jewish parenting. She has served as a visiting faculty member at URJ Camp Newman and looks forward to spending time at URJ Jacobs Camp. Andrea holds Masters degrees in Jewish Education and Jewish Communal Service, with both degrees earned at Hebrew Union College –Jewish Institute of Religion. She graduated with honors from Brandeis University with a BA in Near Eastern Judaic Studies. She is the proud wife of Rabbi Joel Fleekop and mother of Yael and Maya. Raised in New Jersey, Andrea has lived in Boston, Jerusalem, Los Angeles, and the San Francisco Bay Area. New to the South, Andrea is excited to help Temple Beth El shape a future as bright and meaningful as the community’s rich and honored past.